She was returning tithe, but she was not keeping the Sabbath. Martha Etana Chewaka had a big problem. 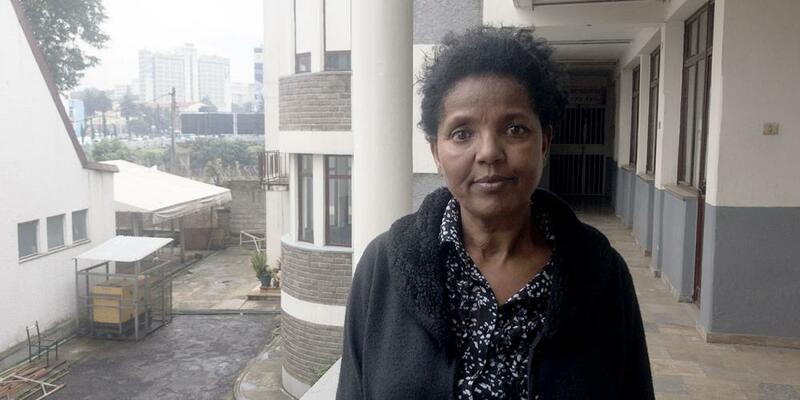 She made a large salary at a bank in Addis Ababa, the capital of Ethiopia. But every month, her money ran out before her next salary arrived. Martha, an accountant, planned her spending carefully. When she got paid, she first returned tithe. Then she paid rent on her small house. After that, she bought white teff flour to bake bread, olive oil, spices, and nice clothes and shoes. But the last week of the month was stressful. She had no money, so she had to eat less and go without things. She also didn’t have any money for savings. Then Martha married a fellow accountant, and they both contributed to the monthly expenses. But again their money ran out before the month ended. Martha remembered attending Sabbath School and church with her Seventh-day Adventist parents. But she had stopped going when she accepted the bank job at the age of 21. Ethiopia has a six-day work week, and most businesses operate on Saturdays. Martha had grown up in a poor family, and she wanted the big bank salary. Martha always gave tithe, as she had learned in Sabbath School as a child. Sometimes she stopped by the church after the bank closed on Sabbath afternoon and handed the money to the pastor. Other times, she passed an envelope with the money to a church-bound friend. Despite her faithfulness with tithe, the money kept running out at home. Martha asked God for help. “Please give me another job that doesn’t require me to work on Sabbath,” she prayed. She prayed every day for a month. Nothing happened. “Yes, you have to quit,” he said. He also was an Adventist and had wanted her to stop working on Sabbath for a long time. But Martha didn’t resign. Instead, she kept working and praying for a new job. Two years passed, she couldn’t work any longer. Every moment of every day, she sensed a voice saying to her, “This is the right time to quit your job. This is the right time to quit your job. This is the right time to quit your job.” It was mind-numbing. After fasting and praying for five days, she announced her resignation at the bank. Her employers were dismayed. She was a good worker, and they didn’t want to lose her. They offered her a new position where she could take off some Saturdays. Martha wasn’t even tempted. It was time to be faithful to God after disobeying Him for such a long time. As soon as she walked out of the bank, she was filled with peace and joy. She hadn’t felt this way since she began working at the bank 13 years earlier. A month passed, and for the first time she and her husband didn’t run out of money. The couple was shocked. The couple has never changed their spending habits. They still enjoy bread made from white teff flour, olive oil, spices, and nice clothes and shoes. But their money never runs out. Part of the Thirteenth Sabbath Offering in fourth quarter 2019 will help build children’s Sabbath School classrooms in Ethiopia so more children, like Martha when she was a young girl, can learn about the importance of the Sabbath and returning tithe. Finding God on Kenya’s Streets A street boy’s path to the Adventist Church — and back to school. Don't Settle for Church Global Mission pioneers in Guyana, a vegetarian cafe in New Zealand, and mission to a remote tribe in Kenya.